A brilliant article by William Sutcliffe explaining the true face of many young backpackers gap year’s and round the world trips. 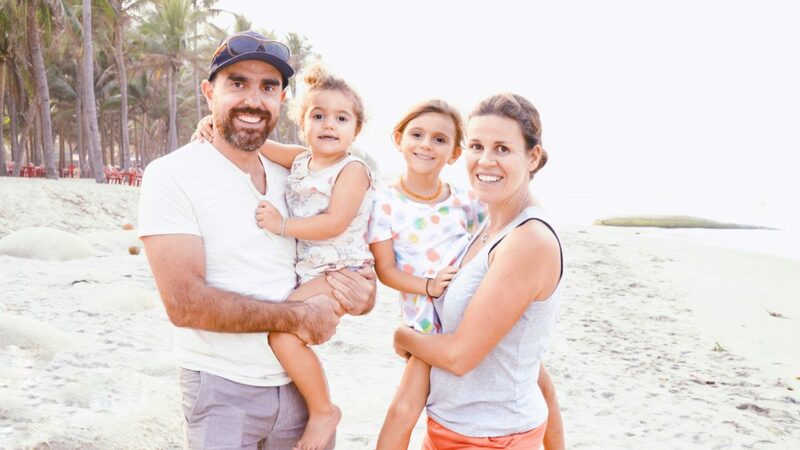 The article highlights the importance of responsible tourism and why we must all take a step back and reflect on the way we travel and where and how we spend our tourist dollars. Everybody loves to hate backpackers. Even people like me, who have spent months of their lives backpacking, hate backpackers. Why should this be? Let’s start with the uniform. However wealthy a backpacker is (and let’s face it, this is hardly a rickshaw fare). Then we come to guide books. The Lonely Planet and Rough Guide series are treated with reverence by most backpackers, not just as a source of information but as a talisman representing the holiday they intend to have. No one has helped them choose what to do. No one has organised their trip for them. They are independent. Few backpackers see the irony in these constant professions of independence, while they tour around huge countries following the same minutely selective routes picked out by the author of one (or perhaps two) guide books used by every single traveller in their area. This is the real purpose served by the Lonely Planet series: not to allow you to find your way to unique and undiscovered places, but rather the opposite – to give you security in the knowledge that, wherever you go, you can take a book out of your backpack and look up where all the other travellers are hanging out. This, to me, is the most disturbing aspect of backpacking. The desperation with which most “independent travellers” cling to one another, aided by their guide books, sums up the spirit of contemporary travel. Distant strongholds of the western leisure industry are being set up in spectacular locations, catering specifically to the tastes of western backpackers: in particular drug-taking, white-water rafting, bungee jumping and trekking. Most backpackers, it seems, are less interested in new experiences than in familiar experiences in exotic places. The authors of these guide books create a travellers’ circuit of approved hotels which conform to rigid demands. Incense in the lobby, scruffy sofas in a courtyard and banana pancakes on the breakfast menu are compulsory. In a bizarre form of apartheid, most travellers stay in these hotels, which cater exclusively for westerners, and often specifically exclude locals (other than servants). While business travellers in the East stay in up-market hotels used by people of all races, backpackers insist on staying in this style of pseudo-down-at-heel hostel used only by whites under a certain age on a certain kind of trip. A London banker staying at the Holiday Inn in Delhi is more likely to mix with Indians than a backpacker at the Yogi Lodge in Varanasi. Such is the power of the guide book writers that if the Lonely Planet’s top recommendation in a particular town is say, the Rainbow Lodge, backpackers will be greeted at the railway station by hordes of rickshaw men who already know where they want to go. These drivers will often then take them to unpleasant, badly located hostels which have been renamed the Rainbow Lodge and offer a commission to enterprising rickshaw men. Long arguments ensue, and it is not uncommon to be driven to several Rainbow Lodges before you are eventually taken to the perpetually full, non-commission-offering original. You can tell it is the right one by the scruffy sofa in the courtyard, the incense in the lobby and the banana pancakes on the menu. Moreover, all the guests will be white westerners. Which leads me to “hassle”. Backpackers are obsessed with the idea that, wherever they go, they get unfairly hassled. This “hassle” usually takes the form of local shopkeepers trying to make them buy things. Given that all contact with locals, other than the purely commercial, has as good as been wiped out by the traveller lifestyle, this seems a bizarre complaint – as if even outside the confines of their exclusive hotels they expect the locals to steer clear – as if any intrusion on their western privacy is an offence. For those travellers who simply can’t bear the attentions of big-city salesmen, there are always the backpackers’ retreats: places like Manali, Ajmer, Goa and Kovalam, where entire towns are devoted to servicing the whims of these fearless adventurers. These resorts are proliferating throughout the Third World, and will turn up every few pages in most guide books as places for “a little R&R from the rigours of travel”. In some of these resorts, such as Goa, backpackers might have to suffer the intrusion of package tourists on two-week beach holidays. Of course, backpackers can’t be expected to mix with these “holiday-makers”, and will do everything they can to steer clear of anyone who might have to spend the rest of the year working for a living. Travel has become a compulsory hoop for middle-class youths to jump through. Many British universities now explicitly prefer students who have had a year off for their “extra maturity”, and Gap Year travel plans feature on most university applications. Completed trips subsequently appear on many graduates’ CVs. Travel is thought to demonstrate initiative, independence, strength of character and numerous other attributes desirable to universities and employers. As a result, backpacking through Asia or Africa has transformed itself from an act of rebellion into an act of conformity. Society as a whole seems adamant that Travel Is Good For You – that you somehow are not a real person unless you have suffered from diarrhoea on a Turkish bus or been mugged in a Bangkok backstreet. Travel is popularly perceived as an inevitable stage of personal growth for the middle classes. Although many of us have backpacked, and have enjoyed it, few can look back on the experience without a twinge of shame. 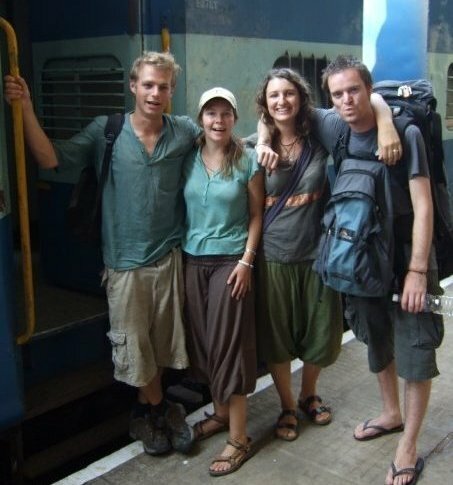 I myself was a culprit of every one of the classic backpacker sins (yes, including the clothes) as a middle-class 19-year-old on a Year Off in India. Although I am pleased that I did the trip, I feel deeply sorry for the people who had to put up with me, not to mention nauseous embarrassment. If I could go back and give a tip to all the rickshaw drivers I haggled with, I would. Paulo Coleho’s words of wisdom and inspiration. Funny, although I have felt the same sort of shame about parts of my experience in China in my early twenties, I never really thought of it this way: that during the time I spent “backpacking” (as opposed to living local at the school where I was teaching), I really was conforming to the backpacker way of travel. I even (gasp) ate banana pancakes. But I know what my true experience was, because the parts of my China experience that continue to draw me back are the non-backpacker times: the nights spent in Xian with locals cooking the most amazing lamb skewers over open fire, teaching us dice throwing drinking games and laughing despite the nearly insurmountable language barriers, the flag ceremony every Monday morning, trying to join in the most beautiful national anthem in a language I could barely speak, and so many others. Thanks for turning on the lightbulb. This has been nagging at me for a decade and you’ve just now put a finger on it. Glad it became clear before my next venture into travel. I have never technically ‘backpacked’ but I’ve got to say, I stayed in a mainstream party backpackers once and it was one of my worst experiences ever. I usually stay at hostels for the price, but usually they’re slightly out of the way, and I’ve found that being on the fringe of a city (or destination) helps to avoid the mainstream backpackers that ‘we love to hate’. Of course, this also might just be forcing people to have some introspection and cringing at the things they also did! I see your point and I can agree with some of it. Yes – many backpackers wants to do “their own thing” but end up doing exactly what everyone else is doing. And yes – many backpackers see travelling as an excuse for cheap drinks and lots of parties without caring at all about interacting with locals. BUT. This is not the case for everyone. There are a looot of backpackers who actually see travelling and backpacking as a great opportunity to get to know new cultures and I think it’s deeply unfair to forget this group, which is rather big. Have you never thought that the fact, as you state: “I myself was a culprit of every one of the classic backpacker sins (yes, including the clothes) as a middle-class 19-year-old on a Year Off in India” maybe made you hang out with similar people? Maybe you never met all the people out there who actually TRAVEL, just because yourself wasn’t mature, curious or determined enough? Yes, I’m in my early twenties, and yes, I’ve been backpacking quite a lot. My theory is that you find a lot more irresponsible travelling, where backpacking is just an excuse for alcohol and cool adventures, in South-East Asia than in, for example, most parts of Africa. I’ve been travelling in both South America and Western Africa where I’ve met a great number of inspired and commited backpackers, interacting with locals and travelling with responsibility.Don’t forget them. And don’t let your own personal experiences be an universal truth. Just want to point out that hostels are not full of just “white Westerners”. Sometimes there are also Asian or Black Westerners staying at these hostels! I know because I’m one of them (I’m Asian American)! But thanks for pointing out how bizarre it is to be holed up in a room with other Westerners for the entire trip. I’d never thought about this. Initially the reasoning was simply that locals and Western backpackers have radically different tastes. But you’re right–the segregation is self-imposed, questionable, and a little bizarre! Yes you’re right we should change the wording on that we didn’t mean to offend. I also as human beings we often innately drawn to like minded people.